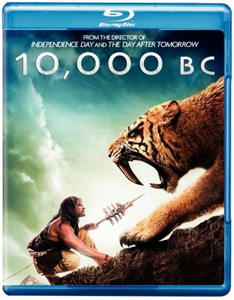 It's hard not think of Mel Gibson's Apocalypto when watching Roland Emmerich's latest brainbuster, 10,000 B.C. It is said that people don't actually go about making a bad movie, but sometimes one wonders. 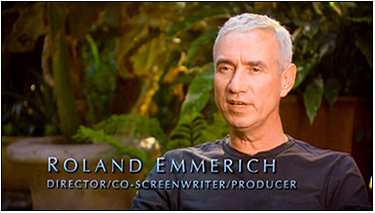 Emmerich is like a kid stuck in the 1950s, but with endless amounts of money to spend. He loves BIG fantasy movies with monsters, deserts and battles. Remember, this is the guy who gave us the 1998 Godzilla, the movie that would become my benchmark for the worst movie of modern times. He also made Independence Day, which tuned out to be fun despite himself. There was also The Patriot, which had Gibson and intensity going for it. And Stargate, which resembles 10,000 B.C. in more ways than is comfortable to think about. 10,000 B.C. 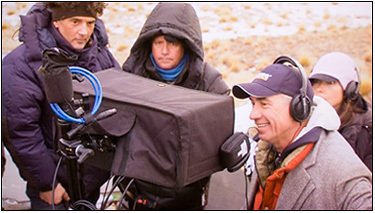 takes place entirely in the imagination of Emmerich and its author, Harald Kloser. Unlike Apocalypto, which had a sense of primeval reality from the get-go, 10,000 B.C. - no matter what we think we know or don't know about our species' recent pre-history' stretches believability to the breaking point and beyond. We are presented a small tribe living on the edge of the ice age, waiting for its food supply the wooly mammoth to come stampeding across the frozen wastes. 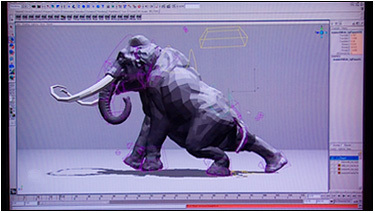 The tribe is under the guiding spell of its mother (the tribe's, not the mammoth's) and her dire predictions. One of it great hunters leaves unceremoniously in search of greener pastures. No wonder everyone thinks he was a deserter and his young son, D'Leh, the son of a deserter. In due course we come upon a sight, at once awesome and gruesome: a giant pyramid, near its completion with the help of huge numbers of slaves and mammoths. It is here that the story reaches both its apogee and nadir: the latter because of how easily and conveniently it reverts to magic (to say nothing of how it subverts the concept of "sacrifice"), and the former because of its keen understanding of class: the people with the most power are the most degenerate. 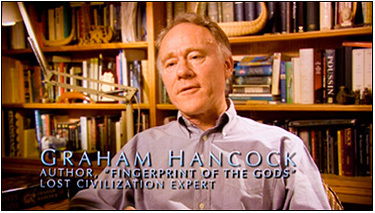 And in 10,000 B.C. we are talking seriously degenerate. It must have been 10,000 years ago that there were no clichs, for this movie has got them as if they were freshly discovered. It also has just as many imponderables that is, if we care enough to ask questions as we go along - my favorite being: How did the slavers know where to find our hapless tribe in the first place? It's big planet, and there couldn't have all that many people in it which leads to the question of why this tribe never gets off the dime to look elsewhere to live. Everyone else did. (I have a new scoring system for the Image in order to make the first number rationalize with the other scores): The first number indicates a relative level of excellence compared to other Blu-ray DVDs on a ten-point scale. The second number places this image along the full range of DVDs, including SD 480i. As poor and porous as this movie is, the image quality is quite good. Very good, in fact. Contrast, color at times appropriately saturated, other times, nearly monochromatic, with nighttime and midday scenes demonstrating the kind of dimensionality we come to expect from this medium. While there isn't all that much to the surround track - we do get discrete effects, but little sense of place the audio is otherwise quite good: crisp, dynamic, balanced (dialog/effects/music), and wide ranging. The Extra Features for the Blu-ray edition are pretty slim pickins. The two featurettes, totaling just under a half hour, feel too long at that. In "Inspiring an Epic" the author and Emmerich hold forth at length about an advanced civilization that may have been in our prehistory. If we're going for some semblance of reality, these guys need to do their homework; if fantasy, I liked the visitation idea proposed in Stargate much better. "A Wild and Wooly Ride" at least is more grounded in actual filmmaking techniques, though very familiar. No High-Def Extras. It may have been my mood, for despite the relentless weaknesses of 10,000 B.C. I stayed with it until the very end. Maybe I just wanted to see for myself where Emmerich & Co. was going to go with this. While I can't say I felt it was worth the time spent, I must admit perhaps it was the unintentional camp factor I actually did watch it - and the Blu-ray does look and sound good. I am left with only one question: Just who does Warner imagine is going to buy this DVD?